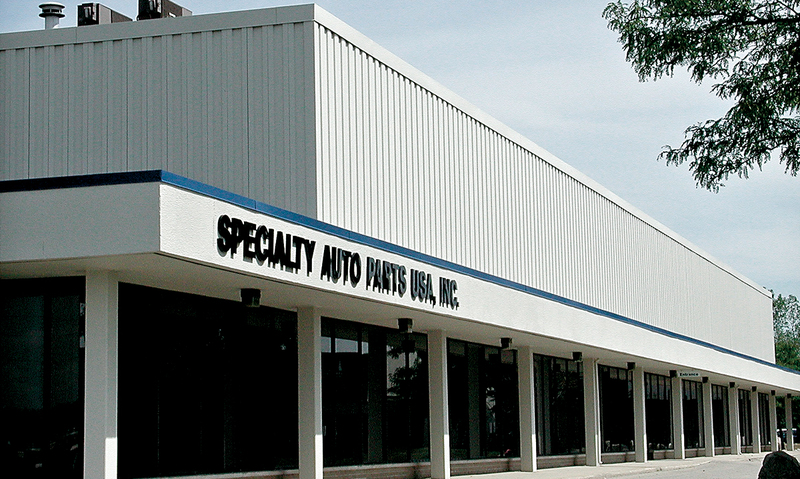 PROFORM® Parts (Specialty Auto Parts U.S.A., Inc.) is a leader in the High-Performance Automotive Aftermarket by engineering and manufacturing creative products from intelligent concepts. Our goal is to provide the performance enthusiast with innovation, quality, and affordability in all our products - giving the customer maximum value. With dozens of patents, thousands of SKUs and millions of satisfied customers, PROFORM has brought innovation, quality, and affordability to enthusiasts for over 30 years. Each PROFORM part is designed to deliver maximum performance, value and style. PROFORM holds the patent rights to dozens of parts and product designs and is in continuous development of not only new products, but also expanding and improving our current product offers. We were the first to make widely available affordable, non-remanufactured electric parts and accessories; the first to offer the 2-Pc timing chain cover, the 2-stage in-line fuel filter, HEI distributor tune-up kits, and direct-replacement carburetor main bodies; the first to popularize GM Officially Licensed parts bearing the popular Chevrolet® and Bow Tie® and other divisional trademarks as well as Ford Performance Licensed products, with Ford® Performance®, Ford® Racing®, Mustang®, and Cobra® trademarks (sold under the PROFORM Factory Performance Parts designation). The PROFORM line offers 100% NEW (as opposed to "rebuilt") starters, alternators, stock harmonic balancers, and distributors; You'll also find a line of roller-tipped rocker arms offering you the widest selection of manufacturing processes (stamped steel, cast chrome moly, and machined extruded aluminum); super-slim and updated tachometers; a whole line of popular and easy-to-use engine builders' tools made to exacting specifications. We are so confident in our products that they are backed by warranty, and we have live technicians ready to help with any question about our parts. PROFORM Parts are designed to provide you with the optimum combination of high-quality and affordable value. Our prices are the result of experienced and efficient global manufacturing - not cutting corners! Our experienced team of managers, product designers, engineers, and production personnel work to serve our customers, find ways to provide value and meet the needs of the enthusiast with high-quality, affordable parts within everybody's budget.